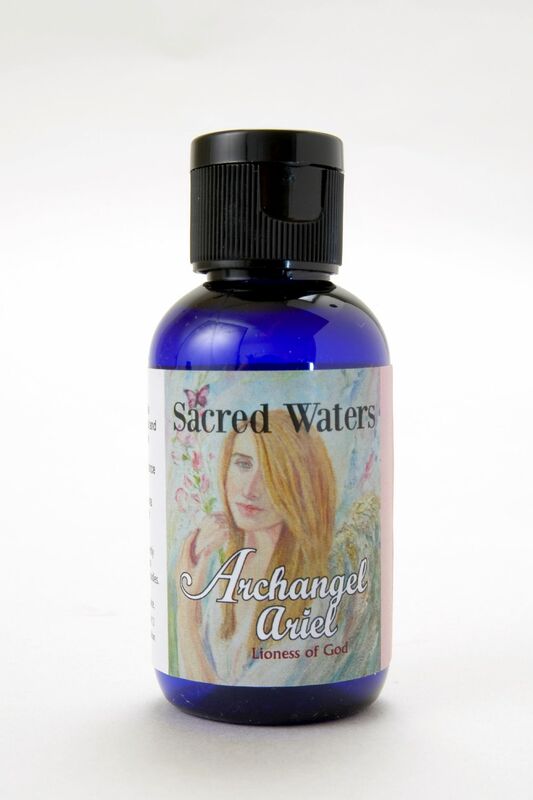 Embrace the enchanting energy of the Sacred Waters of Archangel Ariel, guardian and protector of nature and all life native to Earth. Embrace the enchanting energy of the Sacred Waters of Archangel Ariel, guardian and protector of nature and all life native to Earth. Ariel helps us communicate with the animal and plant kingdoms, invoking Elemental guides and spirits. She encourages us to view our planet as a living, breathing conscious being of wondrous energy who provides abundance in all that she creates here on the Earth plane. A magical formula containing the aroma of Jasmine, Verbena and Ylang Ylang. Floral Water. Holy Water. Gem Essence of Rosophia.